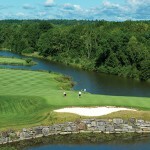 The Gideon Putnam is a golfer’s paradise in Upstate New York. 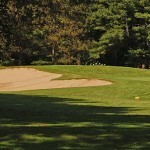 Just a short ride from Saratoga National Golf Club and Saratoga Spa Golf Course, our golf packages makes it easy to plan your next golf getaway. We know golfer’s like variety, so we offer two exclusive packages. The Saratoga National Golf Club package includes overnight accommodations at The Gideon Putnam, breakfast, 18 holes of championship golf at Saratoga National Golf Club, cart, unlimited use of practice range and a sleeve of Titleist Pro V1 golf balls. The Saratoga Spa Golf package includes overnight accommodations at The Gideon Putnam, 18 holes at the Saratoga Spa Golf Course, plus a free bucket of driving range balls, a complimentary sleeve of Titleist Pro V1 golf balls and breakfast for two.